What Is Life Insurance, and How Does It Work? These are all good reasons to think about life insurance. In fact, if there is anyone whose life would be affected if you weren’t around to provide financial support, that’s a good reason to think about buying life insurance. There could actually be another reason, too, and that has to do with the advantages of using a particular type of life insurance as a savings vehicle. So, how does life insurance work? Is it complicated? Is it possible for you to understand it? No, it doesn’t have to be complicated. And yes, you can understand it. In its simplest form, the concept of insurance—whether its life insurance, automobile insurance, or any other form of insurance—is that you pay an insurance company a known amount of money and in exchange, the company agrees to take over an unknown risk you have. Take automobile insurance as an example. You own a car. You know you might have an accident. And if you do, it might cost you a lot of money. You have an unknown risk. Your own good sense—and the government—say it’s wise to pay a premium (known amount of money) to an insurance company, so that they will cover your unknown risk. If the accident you have costs a lot of money, you can just pass the bill on to the insurance company. Of course, deductibles and limits come into play, but these are just finer details of the big picture. In any case, you know that as long as you keep paying the premium, the company keeps assuming the risk. And you also know that if you stop paying the premium, the company stops assuming the risk, and you’re no longer covered. That example of insurance is probably pretty familiar. It really is an easy-to-grasp concept, isn’t it? 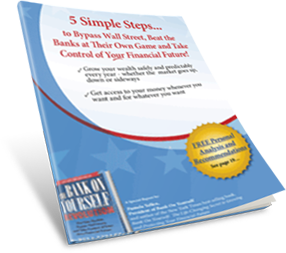 Download a free Report here that reveals how a little-known type of high early cash value, low commission whole life policy lets you fire your banker, bypass Wall Street and take control of your own financial future. You’ll also get a free chapter from Pamela Yellen’s New York Times best-selling book on this subject. 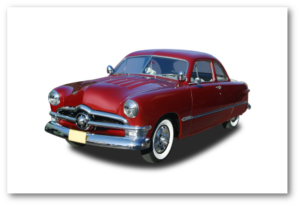 In concept, life insurance is similar to automobile insurance. The big difference, of course, is that automobile provides protection against the loss of (or damage to) a vehicle, while life insurance provides protection against the loss of a life. Like automobile insurance, a life insurance policy can be extremely basic, or it can have features included that go beyond “extremely basic.” It depends on the choices you make when choosing among the types of life insurance policies and the optional features you add to your policy. A life insurance policy is not an off-the-shelf commodity you should choose based strictly on price, no matter what television advertisers may imply. Is a basic policy better than one that’s comprehensive—one with more features? Well, that depends. Let’s go back to our car analogy: Would you rather have a basic car, or do you want one with air conditioning, a great entertainment center, something to warm your buns on a cold winter morning, and maybe even a gizmo built into the seatback that’ll massage your back on a long trip? Basic might be best for a teenager’s first car, in case he or she wrecks it. But more features is probably what you’d prefer for yourself. Which additional features is usually the only question to be answered. You can make similar choices when choosing a life insurance policy: Basic, or more features. Either way, you understand that if you die, your contributions of income and time to your family stop. You’re no longer around to bring home a paycheck, and you’re not there on Saturday night to give the dog a bath or help the kids with their homework. To help replace your contribution, you decide to pay a premium to a life insurance company, so that if you die, they’ll step in with cash, in the amount you’ve agreed upon, as long as the policy is in force. 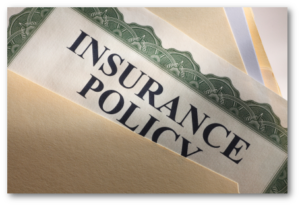 Of course, if the policy is not in force, there’s no coverage—same as with automobile insurance. That’s the most basic kind. We’ve said the most basic form of life insurance is term insurance. You pay your premium and if you die during the term, you’re covered. One feature (“rider,” in insurance company lingo) you might be offered on a term policy is a return of premium rider. These have been offered since the mid 1990s. You pay your premium, and if you don’t die, you get all—or some—of your money back. You will pay a higher premium for a term policy with a return of premium rider than for a term insurance without such a provision—as you may have guessed. How much higher depends on numerous factors. Your life insurance advisor can easily give you a comparison based on your circumstances. Only you can decide if it’s worth it. But consider your opportunity cost. 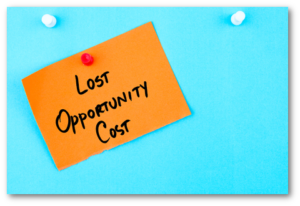 Opportunity cost is the amount money you’ll potentially lose if you pass up an opportunity to invest in Choice “A” at a given rate and do something else with it (Choice “B”) instead. Example: If Credit Union A will pay you 2% on your savings, and Bank B will pay only 1.5%, and you choose Bank B because it’s closer to the convenience store where you buy lottery tickets, you have two problems. (1) You buy lottery tickets. And more to the point, (2) you have an opportunity cost of 0.5%. The higher the difference in rates between your two choices, the greater the opportunity cost for making the low-rate choice. We don’t want to get bogged down in the details of whether or not Return of Premium makes sense, particularly because the answer is likely to vary among individuals. A qualified insurance advisor can help you sort this out. Decreasing term policies have a death benefit that goes down every year. That makes the policy less expensive, and the decreasing death benefit might just about match the decreasing balance on your home mortgage. This type of policy is often referred to as a mortgage protection policy. Guaranteed renewal term policies come with a promise that at the end of the term (typically five years), you can renew the policy for another term, even if your health has gone downhill. Without a renewal guarantee, you could find yourself unable to renew the policy if you’re in poor health. Note that different companies have different definitions for “disabled.” Be sure you understand exactly what you’re getting if you’re thinking about a waiver of premium rider. Other provisions and riders are available in term insurance policies to serve different purposes, depending on your needs and the company you’re working with. Unlike term insurance, permanent life insurance plans do not expire. And they combine a death benefit component with a savings component. That alone makes a permanent life policy more comprehensive, because now one policy has both a death benefit and living benefits, made possible by the savings portion. A policy owner can borrow funds, or in some instances, can withdraw or take loans from the savings portion to help meet future goals, such as paying for a child’s college education. Pretty powerful stuff. We explain each of the three most common types of permanent life insurance: whole life, universal life, and variable life here. All permanent life insurance policies have a maturity date—the age of the insured person at which the ever-growing savings component equals the policy’s death benefit. Permanent life policies issued within the last few years set an arbitrary maturity date of 121 years old. (My, we are living longer, aren’t we?) Older permanent life policies may have a maturity date of 100 years. Some permanent life insurance policies are designed so that you pay premiums right up to the maturity date—if you should live that long. Other policies are designed so you only pay for a certain number of years (perhaps 10 or 20 years), or until you’re a certain age (perhaps 67 or 70 years old). Many permanent life insurance policies offer a rider that says if you’re confined to a nursing home, you can take a portion of your death benefit while you’re still living. You must meet the company’s definition of “confined,” of course. You can’t simply lock yourself in the bathroom at the Old Folks Home while you’re visiting Grandma, and expect your insurance company to give you money. But in any case, a nursing home rider is one form of accelerated benefit rider. Another rider, a terminal illness rider, lets you get at your death benefit early if you’re terminally ill.
Just as there are a myriad of ways to add features to an automobile, life insurance can have more riders, often for a relatively small additional premium. Those riders might include a Waiver of Premium Benefit, an Option to Purchase Additional Insurance, even provisions that add long term care benefits to your life insurance policy. Other folks refuse to purchase even a basic life insurance policy, although it could be a great benefit to their family. These folks we call NSS—Not So Smart. Use your common sense. 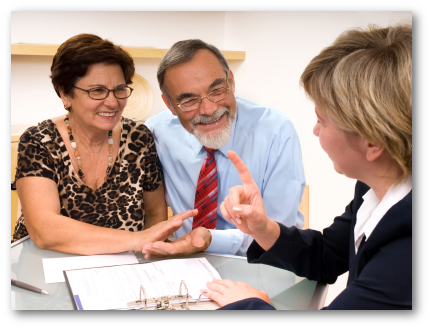 Discuss your possible needs with the members of your family or others who stand to lose financially if something happens to you. Make wise, reasonable decisions. But make a decision! Don’t put this off. The bus that runs you down may be scheduled to pass your house tomorrow morning. You really don’t know!